Whether you have existing tabbing equipment or need to upgrade, Addresser Based Systems can help you meet the new tabbing regulations. As of September 9, the Post Office will be implementing new tabbing regulations for booklet mailers, that will have a major effect on the way that you run your existing tabbing equipment. The USPS is making these changes because thick and unevenly folded booklets often jam their automated sorting equipment, which forces them to shut down. These jams can even ruin mailing pieces behind the offending booklet mailers. The other issue is that the booklets are thicker, and the current, standard 1” tabs often do a poor job of closing the books completely. Perforated clear tabs often tear open, as the books “flex” and bend between the belts within the USPS sorting equipment. Initially, the Post Office was considering the idea of changing tab placement for ALL mailing pieces. In the end, they decided to focus on Letter Sized Booklet Mailers, and will continue to study the idea of changing the regulations for other media. Click Here to read the USPS New Standards for Letter-Sized Booklets! What does this mean to you, and what are the solutions? If you have a table-top tabber and process booklet mailers, then unfortunately you will need a new tabber. There are very few table-top machines that can apply 1.5” tabs, and none of the older units can apply two of these tabs. At this time, we are offering the Accufast ET (Edge Tabber) which will be released in July. 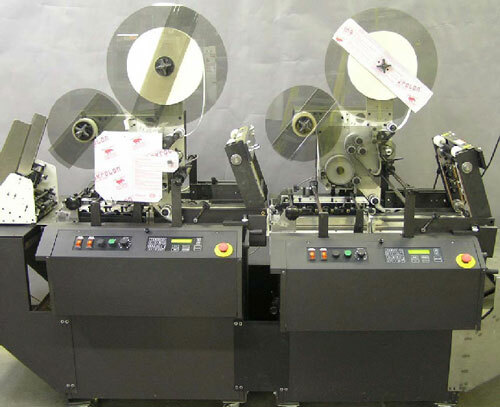 The Link Below shows the Edge Tabber running in-line with a folder, but it can also run with inkjet systems or with a dedicated feeder. 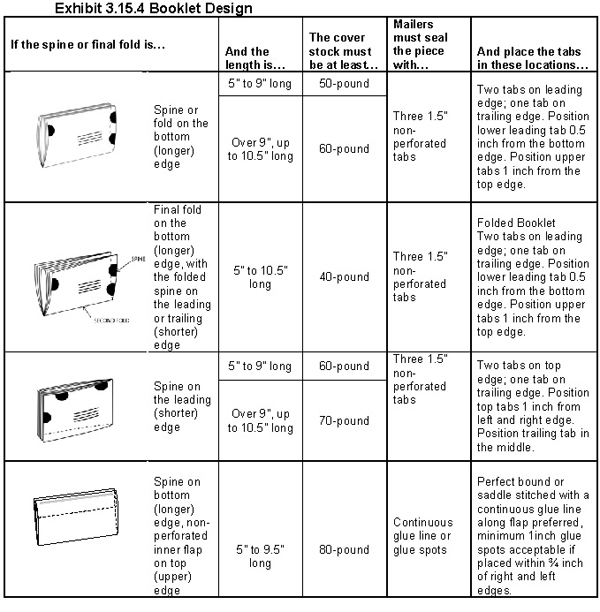 The Edge Tabber will work with both booklet and regular letter sized pieces, and can apply two 1” or two 1.5” tabs (on the correct side of the mailing piece). Production Tabbers (Buskro, Secap, Videojet, Kirk Rudy, ProFold, MCS, Etc). 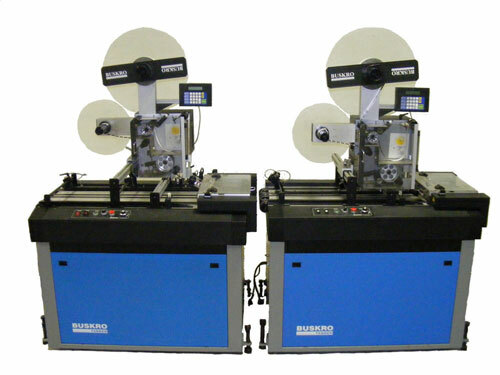 Here is a video of two Secap or VideoJet Tabbers running in-line for Head & Foot tabbing. We can link two tabbers to work as a single unit. This includes one speed dial to control the speeds of both tabbers, and a common start/stop switch for seamless operation. Depending on the tabber, we can also include extra material guides and top rollers, to help you keep the booklets straight as they travel (with the short side of the book against the sideguide). These upgrades can be added to existing tabbing equipment. Also, if you already have one tabber, we can provide an additional new unit and link it with your existing machine. This is normally accomplished with a Bump/Turn device. Below is a video showing a bump-turn working with a mailing base. The type of hardware required will depend on the type of inkjet base that you’re using. If you have an in-line base (base with detachable feeder), with room in the input, then we can install simple bump/turn hardware on your existing inkjet base. You would place the tabbers in front of the inkjet system, and turn the piece for addressing as it leaves the tabbing equipment. If you have a Shuttle Feed Inkjet Base (integrated feeder), then you would use an independently powered bump/turn at the end of your base, to turn the booklets after they are addressed. Here is another video showing two Buskro tabbers running after the inkjet. Notice how the speed is synchronized? One speed control adjusts both tabbers! WE NOW STOCK 1.5” Tabs! !